Do you have friends or fiancé or family members who at the last moment ask you to get ready in 15 minutes? My fiancé has this habit of informing me just 15 minutes before taking me for a ride to another city. I hate carrying loads of makeup products in my bag. They just tend to hit each other and cause big scratches and mention not occupying lots of space. Sherri Jessee Magnetic Compact was like a God sent to me. 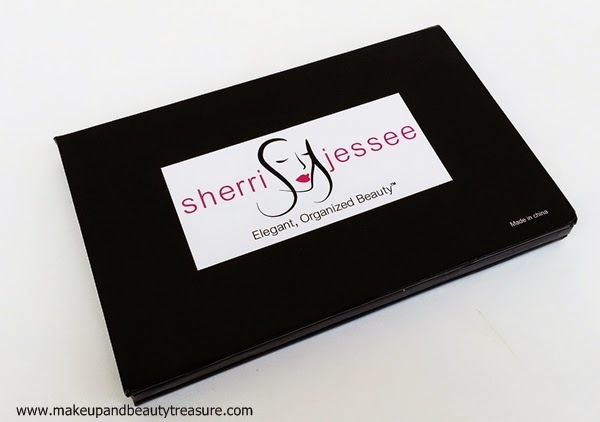 Today I am going to review Sherri Jessee Green Queen Printed Magnetic Makeup Compact. Elegant Organized Beauty Printed Magnetic Makeup Compact with original artwork allows you to fashionably consolidate your makeup into one easy to carry, elegant compact. 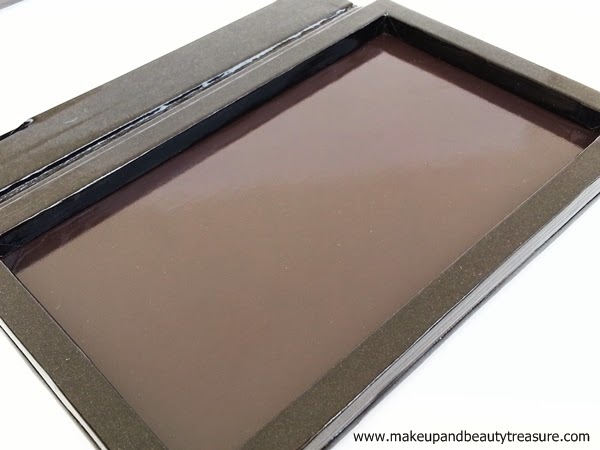 A full mirror is featured in the lid for easy on-the-go makeup application. 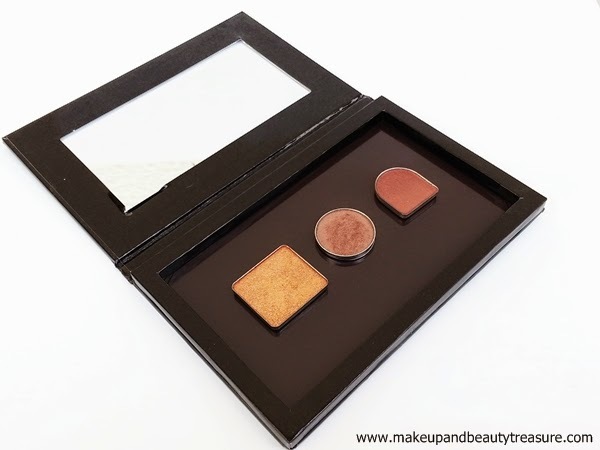 The compact comes filled with 3 of Sherri Jessee’s expertly chosen neutral colors to get you started! • Full mirror, makes touch ups easy. • Super strong magnet holds makeup pots in place securely. 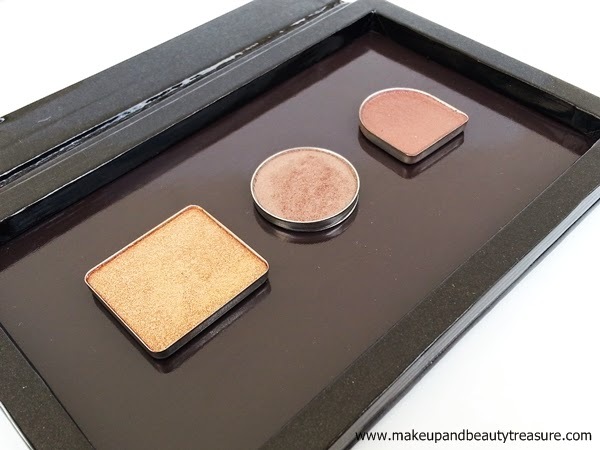 • Make a beauty statement every time you use your unique compact. • What the elegant, organized beauties are carrying. Makeup ingredients available upon request. Sherri Jessee Green Queen Printed Magnetic Makeup Compact is a beauty in itself. It is made of cardboard and is extremely light yet sturdy. The front cover of the magnetic compact is a beautiful artwork made by Sherri’s cousin. She has three more different designs but I loved this design the most. It looks so elegant and pretty in my makeup bag. At the base of the compact, you can see the brand name Sherri Jessee. It is a beautiful rectangular plastic magnetic empty palette that snaps close securely like a magazine and is really safe for traveling. It is quite light and can be easily carried around in a makeup bag. It does not occupy much space as well which I really adore. 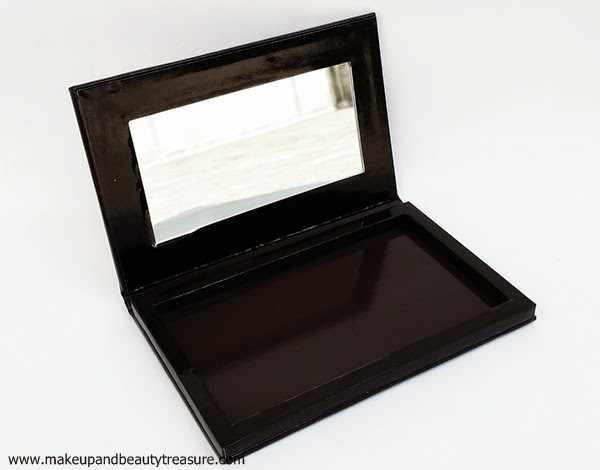 As soon as you open the lid, you will see a huge mirror that is convenient to do your makeup while traveling. It is large enough to see your whole face. The empty palette is deep enough to hold a variety of items of any size. I love keeping eye shadows, blushes, cream foundations, pressed powders, brow powders, concealer and lipstick refill pans in it. This way I have all my makeup kit in a single comapct. I only need to carry my brushes in my makeup bag. The magnetic palette sticks all pans that are made of metal or aluminium easily and you don’t need to stick a magnet to your pan base. The magnetic is powerful enough to stick the pans. The pans do not tend to slide or fall off even when you keep the palette upside down. 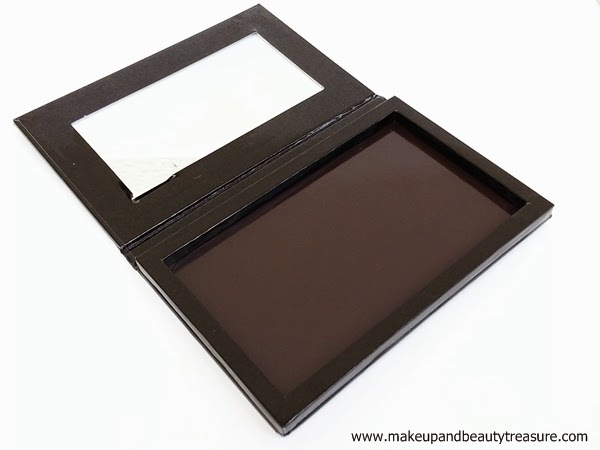 The magnetic compact is great for touch ups and I do not to carry lots of products in my bag. I feel so organized after using this cute compact. As it is dark in color, I find the cleaning part very easy and simple. All in all I have all my face makeup in a compact. Sherri Jessee magnetic compact makes me feel special and unique each time I carry it with me. • The front cover is super pretty and unique. • You can carry all your makeup in one compact. • Makes me feel organized and I can now keep other products in my bag. 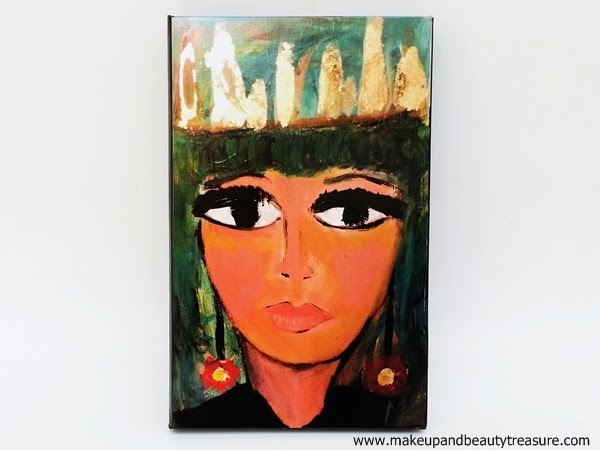 • Great for makeup artists too. • Large and clear mirror. 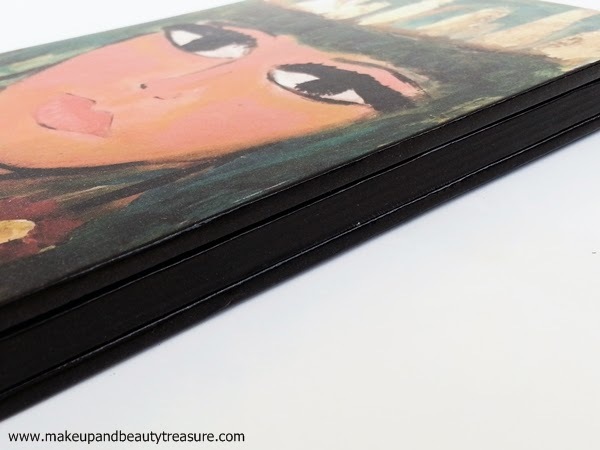 I am totally in love with Sherri Jessee Green Queen Printed Magnetic Makeup Compact. It not only makes me feel organized but also looks great in my bag. It is a lovely palette to keep all your face makeup in a single compact while traveling. You can change your products as desired. It has strong magnet that keeps all the pans in place. It is extremely light and is definitely a HEAD TURNER. It makes me feel so organized and elegant. Now I can do makeup or touch ups while traveling by holding just a small compact. I would HIGHLY recommend it to everyone! 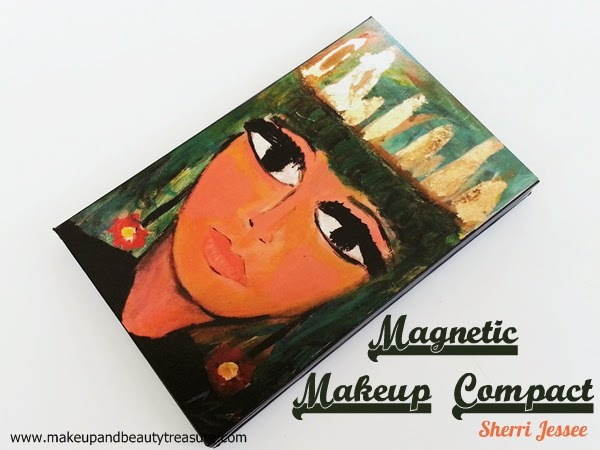 Have you tried Sherri Jessee Green Queen Printed Magnetic Makeup Compact? How was your experience? Share in the comments section below! Disclaimer: The item was sent was PR for consideration. The review is based on my own honest and personal experience with the product. Yeajh Purva I find the packaging really cute :) Agreed price is on higher side may be because it is of high quality! Yeah Aroo it looks so pretty in my hands :) Yeah i wish it was less expensive! How Strong is The Magnetic Hold, Megha? It has very strong magnet Heena and the quality is superb unlike other palettes i got from Ebay! I think thats the reason behind its price tag!